I’m back at it with the glitter nail polish! 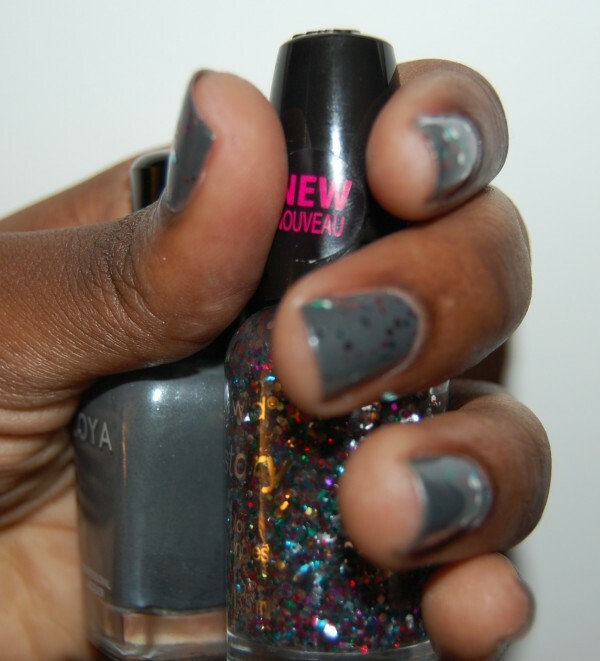 This was one of those lazy manicures- I started with this awesome silver color by Zoya Nail Polish that I picked up during Blogger’s Night Out. Zoya Nail Polish is seriously amazing: it glides on so smoothly, looks fantastic with just one coat, is not too thick, and lasts for days! 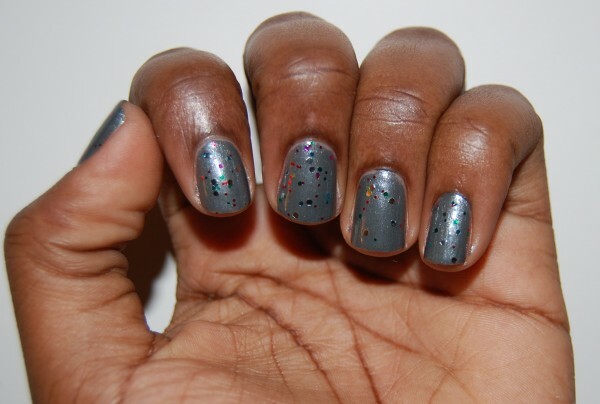 I was going to stop there, but then I decided to jazz it up with this glitter polish. I love the big glitter flakes and also how they are scattered sort of randomly- it’s like someone threw little confetti on to my fingers and they stuck!